In order to optimize both wear and drive traction, our experienced personnel can help select and apply your pulley coating. Fort Garry Fire Trucks Rubber Division manufactures various forms of lagging that contribute to reducing downtime and maintenance costs. Hot Vulcanized Rubber is a proven high quality bond that is offered in plain, chevron or diamond grooved with wrapped, turned or ground finishes. Vulcanized lagging is available on both crowned or flat-faced pulley applications. 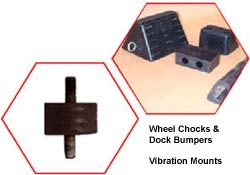 Cold Bonded Rubber can be supplied plain, grooved or rough-top surfaces. Cold bonded lagging is available on both crowned or flat-faced pulley applications.